The net worth of John Schnatter, founder and CEO of pizza chain Papa John’s, fell $70 million in less than 24 hours after the company released its third-quarter financial report on Tuesday afternoon. The business beat estimates on earnings and revenue, but it lowered guidance on same-store sales for the coming period. Investors were not pleased with that news and sent shares down 11% through 12:30 pm Eastern Time on Wednesday. The stock is now trading at just over $60 per share. One casualty of the slide was Schnatter’s personal fortune. 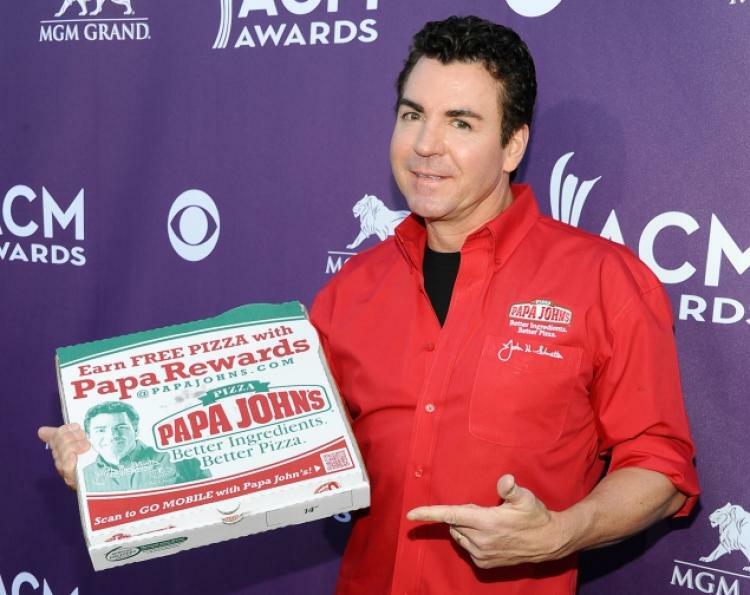 The 55-year-old—who owns roughly 25% of Papa John’s—is now worth $801 million, Forbes estimates. Schnatter blames part of the downturn on the National Football League, which has faced turbulence amid widespread national anthem protests in the past year. “The NFL has hurt us by not resolving the current debacle,” he said on a conference call on Wednesday. Papa John's is the league's official pizza sponsor. So far 2017 has been a challenging year for the restaurant chain. It has lost a quarter of its market capitalization since the start of January. Its future looked significantly brighter earlier this year. Shares hit an all-time high in December 2016, and Schnatter made Forbes’ list of the World’s Billionaires for the first time in March. He has since fallen off the ranks. Schnatter, a native of Indiana, built his business from scratch. After graduating from college in 1983, he started working at his father’s tavern, then on the brink of bankruptcy. He sold his car, a 1971 Camaro Z28, to pay off debts and to buy used pizza equipment, which he installed in a broom closet at his father's bar. After righting the finances at the bar, Schnatter opened his first Papa John’s in Jeffersonville, Indiana in 1985. Growth came quickly; within six years he had 100 locations. The company now boasts more than 5,000 restaurants in 45 countries and territories.